(Bloomberg) — The European Union asked for exemptions from expected U.S. sanctions on Iran and the bloc’s lending arm balked at supporting Iranian projects, signs of the mounting difficulties in meeting a political pledge to stick with the landmark nuclear deal. 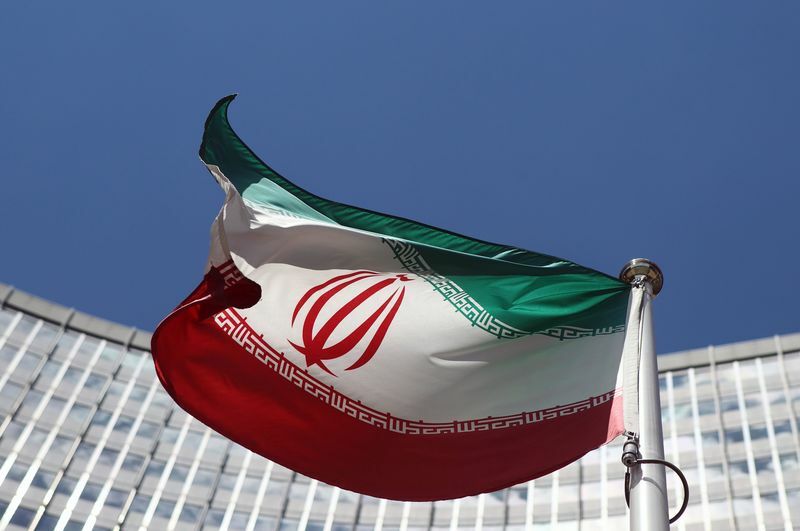 The troubles emerged as a senior Iranian envoy demanded results from EU negotiations “very soon” and said a failure to provide economic guarantees would result in the resumption of Tehran’s atomic activities. France, Germany, Britain and the EU as a whole are seeking a sanctions reprieve from Washington a month after President Donald Trump withdrew from the nuclear pact and vowed to sanction companies doing business with Iran, which has the world’s second-biggest natural gas reserves. The EU has pledged to defend the agreement, protect European companies negatively affected by the U.S. decision and offer alternate financing for Iranian investments. “As allies, we expect that the U.S. will refrain from taking action to harm Europe’s security interests,” the three countries and the EU said in a letter to the U.S. administration. In it, they argued that the accord with Iran remains the best way to prevent a nuclear-armed Iran and that the 2015 accord can only survive if Tehran receives economic benefits in return. “U.S. secondary sanctions could prevent the EU from continuing meaningful sanctions relief to Iran,” they said. In an internal EU conflict, the bloc’s executive arm meanwhile proposed on Wednesday that the European Investment Bank expand its lending remit to cover Iran, a plan EIB President Werner Hoyer immediately rejected as being risky and unwise. The European Commission idea to let the EIB support Iranian projects could hamper the lender because around 30 percent of its 500 billion euros ($589 billion) in outstanding debt is denominated in dollars, said Hoyer. He said the bloc’s national governments, which own the EIB, will likely heed its advice against lending for Iranian projects and urged the bloc to come up with “more intelligent” ways to keep the nuclear accord intact. “We are not the right tool,” said Hoyer, who called the Iran deal one of the EU’s “major and finest” diplomatic achievements. The letter from the EU countries was sent on June 4 to Treasury Secretary Steven Mnuchin and Secretary of State Mike Pompeo, and was posted on the Twitter account of French Finance Minister Bruno Le Maire. “As close allies we expect that the extraterritorial effects of U.S. secondary sanctions will not be enforced on EU entities and individuals, and that the U.S. will thus respect our political decision and the good faith of economic operators within EU legal territory,” the letter said. Even before the U.S. pulled out of the JCPOA, many European companies faced problems financing their Iranian investments because major banks didn’t want to risk U.S. ire by working in Iran. Some companies aren’t waiting to find out. France’s PSA Group, the maker of Peugeot and Citroen cars, said Monday it’s suspending its push into Iran, and has begun closing its joint ventures with Iranian carmakers. French energy companies Total SA (PA:TOTF) and Engie SA have also said they’d stop some operations in Iran. The window for the EU to convince Tehran to stay in the deal is quickly narrowing. Iran’s International Atomic Energy Agency ambassador, Reza Najafi, said Wednesday in Vienna that he expects results from negotiations with the EU soon. The Persian Gulf country told inspectors they’re preparing uranium-enrichment feedstock and facilities to produce new centrifuges if the talks intended to save the Joint Comprehensive Plan of Action fail. “They need to ensure that Iran is compensated unconditionally,” according to Najafi, who said Iran received “strong support from the overwhelming majority” of the 35 IAEA members meeting this week in the Austrian capital. Until measures are worked out, IAEA inspectors shouldn’t count on any additional cooperation by Iran, Najafi said. The agency’s Director General Yukiya Amano said Monday that Tehran could do even more to facilitate verification, even after monitors called a record number of snap visits last year. “As long as Iran isn’t benefiting from the deal, nobody should expect Iran to implement even more voluntary measures,” the envoy said. The IAEA reported for an 11th time this week that Iran has kept it’s side of the bargain by keeping its nuclear activities below allowable thresholds.